The aquarium is decently sized. 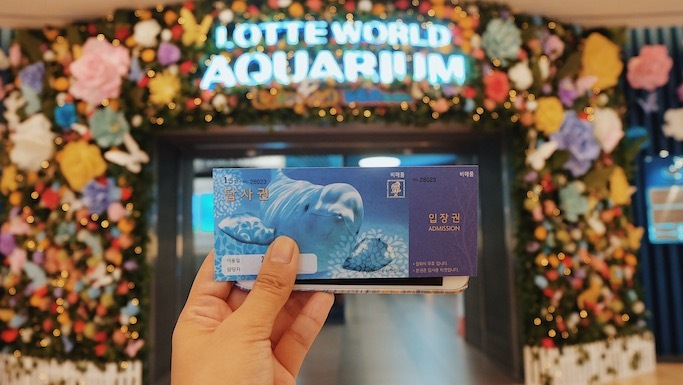 After all, it houses Korea’s largest 25-meter-wide inhabitation water tank.There are 650 species to enjoy and a total of about 55,000 marine friends. 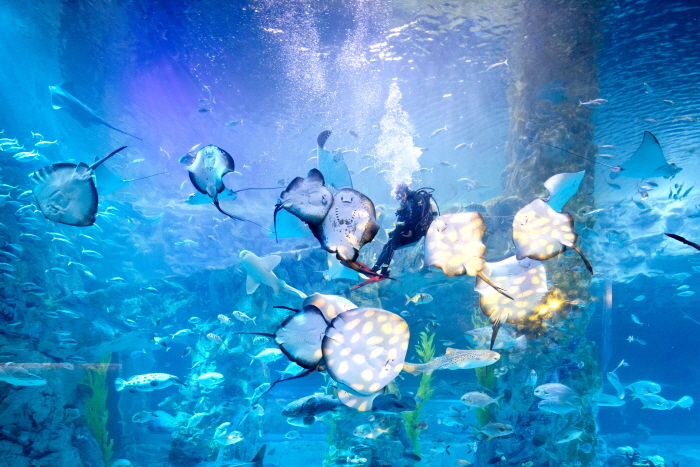 Also, the aquarium offers the largest total educational programs in Korea - 14 programs in total. 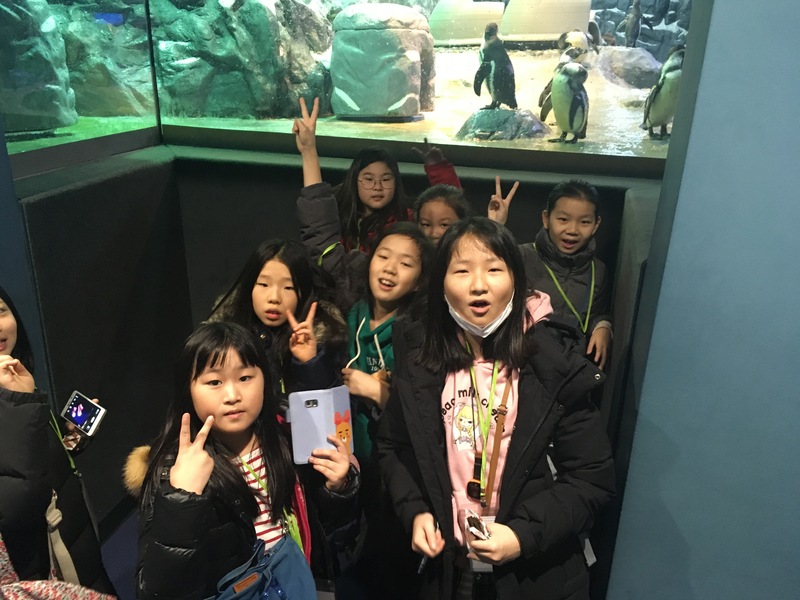 My students participated in three educational activities on our visit. 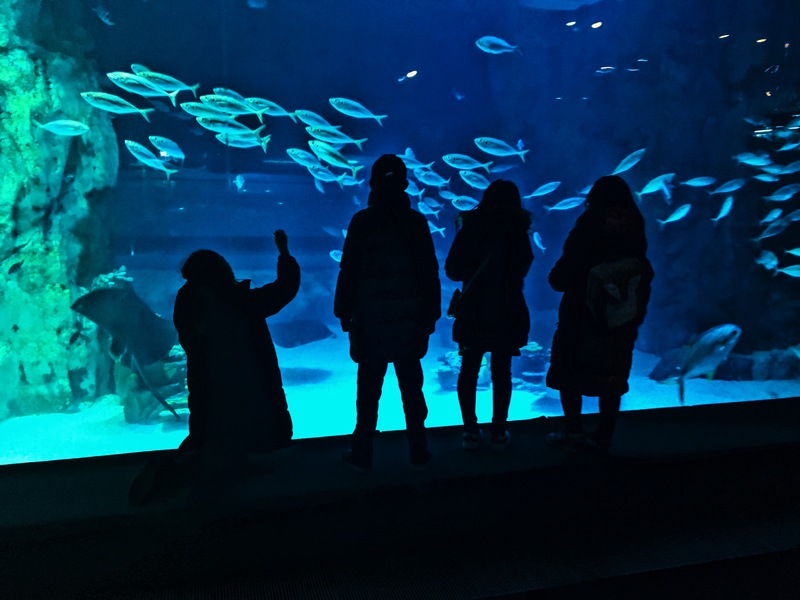 They watched a sea lion show in which they learned about the California sea lion and enjoyed an entertaining sea lion performance. They decorated eco-friendly bags that had belugas on them. Also, they made colorful slime to resemble the ocean. 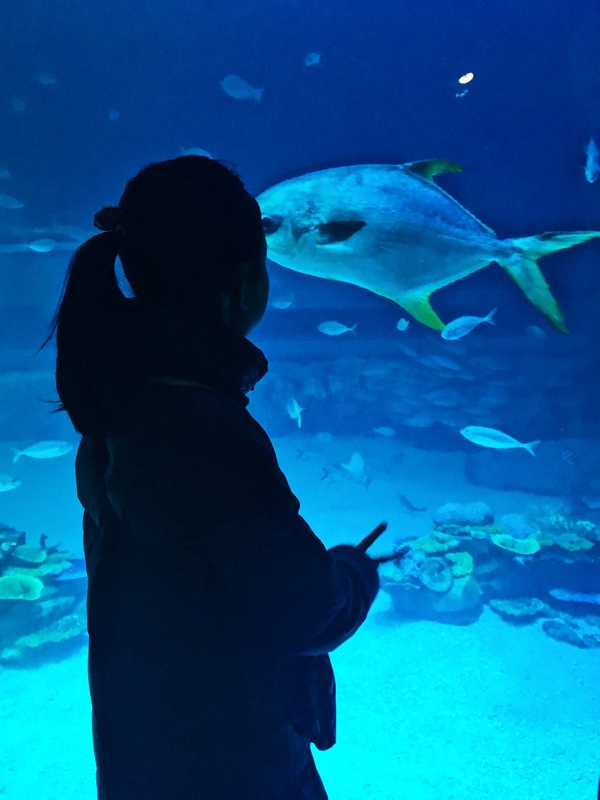 There are 9 star species this aquarium is very proud to house: Beluga, California Sea Lion, Harbor Sea Lion, Humboldt Penguin, Pirarucu, Piranha, Cownose Ray, Green Turtle, and Sardine. My students favorite species was definitely the beluga. My personal favorite was the Cownose Ray. Still, we all agreed we enjoyed feeding the fish the most. Around the aquarium there are feeding areas, where once can buy some fish food to feed the fish in some of the tanks. These tanks have a variety of smaller fishes. There was a lot more we wish we had time to do. I’ll have to go back on my own time some day soon.